August has been a taxing month, and I will not be sad to see it end. It had a few lovely moments, and many stressful ones, and at the time I was just too tired to write about them. 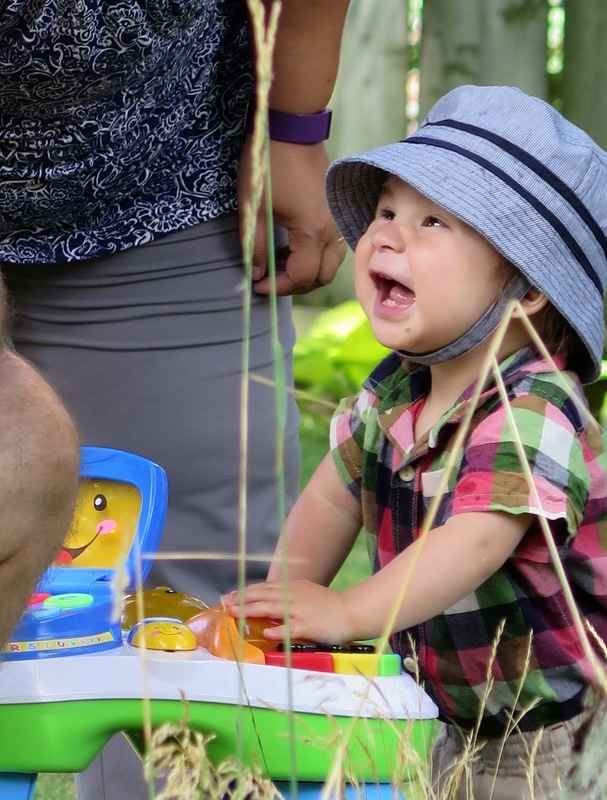 It began on a happy note with my favourite baby, Nicholas, celebrating his first birthday. I have the pleasure of working with both of his parents, and have been able to interact with him during the first year of his life, and he's a total charmer who loves everybody. Later that weekend, things took an unfortunate turn, and I ended up in Emergency for 4 hours one night and 7 hours the following day with abdominal pain that they were unable to diagnose, but during the hundred and one tests they did, they found a "hazy patch" on my lung. Just the kind of thing you want to hear after having had little sleep, no food, and have been on IV painkillers for seven hours. 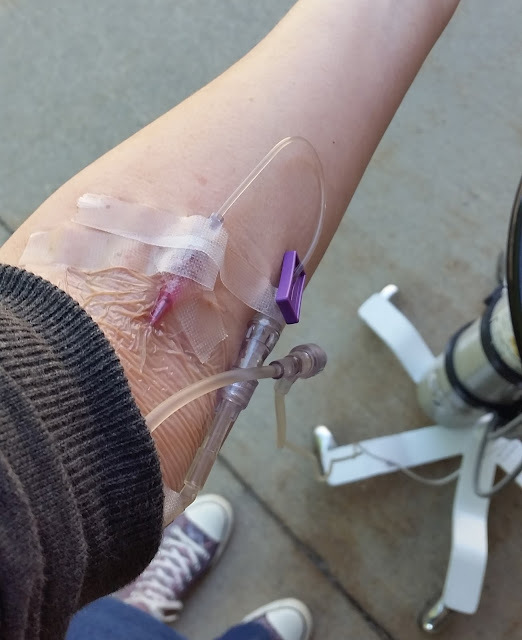 More tests and a doctor's appointment later, turns out I had a severe lung infection. Cue to a week off work, and a lot of sleeping and watching Netflix. It seems I am the person who gets pneumonia in the summer. The cloud had a silver lining, in that it allowed me to binge-watch the Miss Fisher Murder Mysteries series on Netflix. 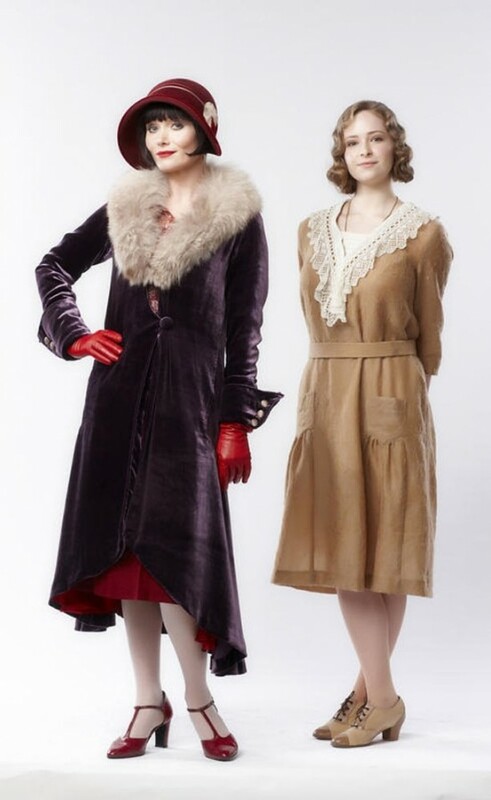 I developed a huge girl-crush on the character of Miss Phryne Fisher (on the left in the photo above, pictured with her companion Dot), who is basically a female superhero. The series is set in Melbourne, Australia in the 1920's and has smart writing, engaging characters, and outfits to make you weep with envy. Click on the "source" link above to read one blogger's opinions about why it is such a great show. When I felt well enough, I did little walks around the neighbourhood and visited with some of the local critters. Clockwise from top left: Miss Kitty, one of the store cats at the Silk Road Store, attempting to do some fishing; one of the many (and I mean, many) cats that live in a house in my neighbourhood. 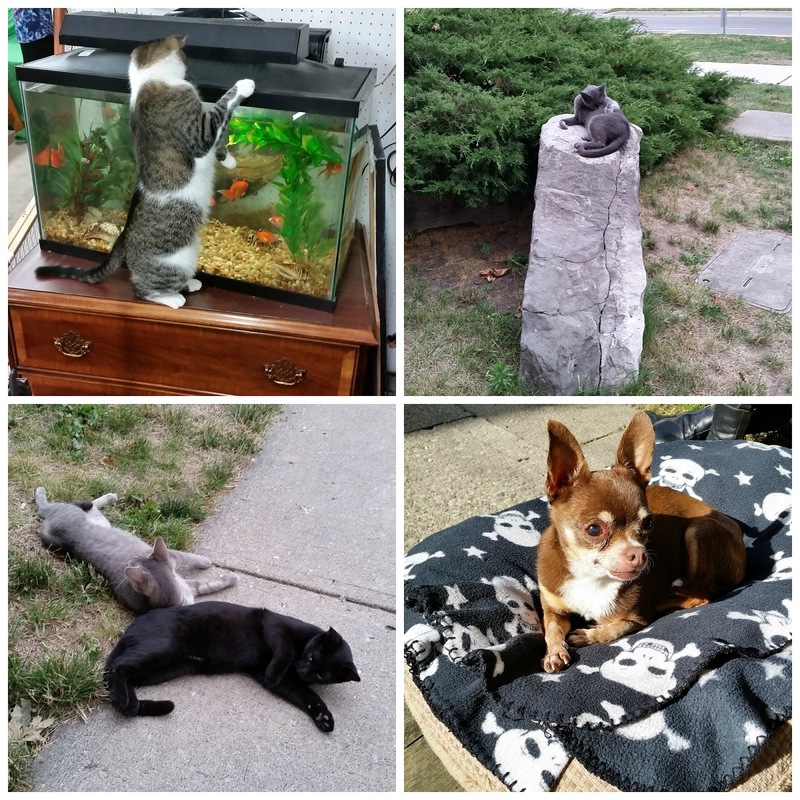 Most of the neighbours are aware of the "cat hoarding" situation and we keep an eye out to make sure they are not being mistreated or starving; Varg, my neighbours' 14 year old chihuaha, whom I've grown very fond of; and two more residents of the "Cat House". I also was able to spend some quality time with my little girls, Ginger (above) and Ruby, though not in the best of circumstances. Ruby got sick with a respiratory infection, and after a trip to the vet, I brought her and Ginger home with me while Heather and her husband were away on vacation. It was a challenge given that my lungs were already compromised but I was careful not to handle them too much, and used my inhaler regularly, and we were fine. It was obvious from their behaviour they were very happy to be home, and it made me happy to have them with me again. Unfortunately, I can't keep them with me forever, so I'm enjoying their companionship while I can. 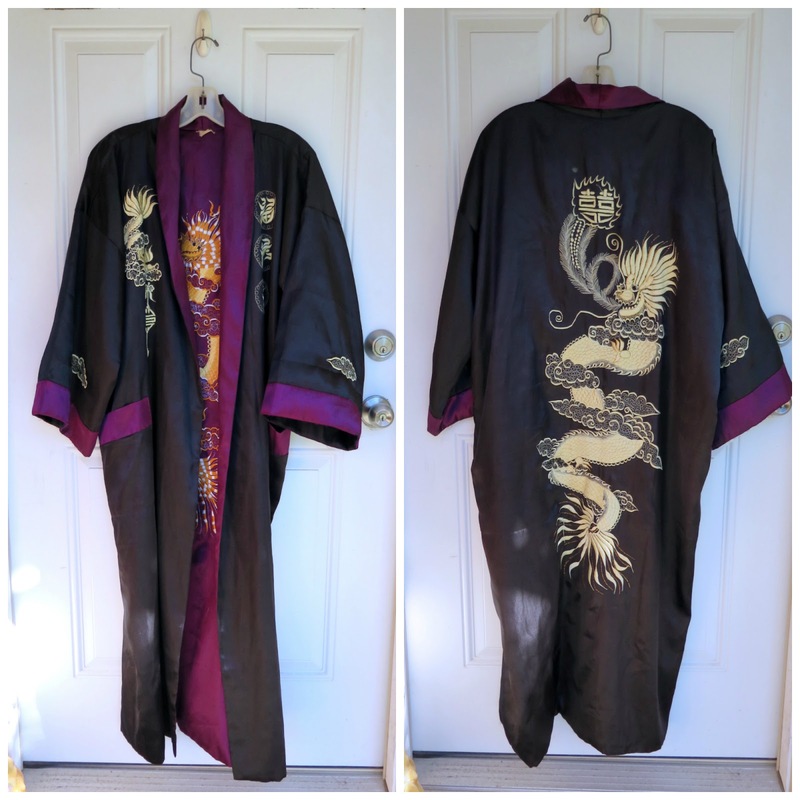 My best score was this beautiful heavy silk, reversible embroidered robe. The purple side has an orange dragon on the back and front. I can't wait for it to get cool enough to be able to wear it over a t-shirt and pair of pants. Aside from a few basic pieces, most of what I wore this summer was purchased secondhand. The two outfits above cost me less than $25 each. On the left: silk top from The Silk Road Store, skirt from Style 360 Consignment store. 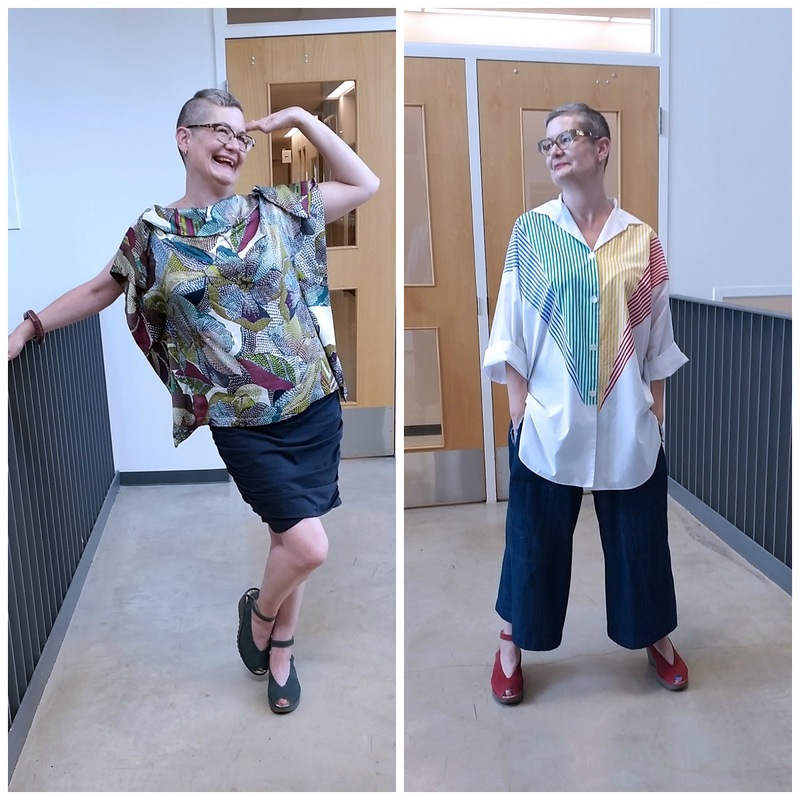 On the right: 1980's shirt from The Sentimentalist, pants from Talize. Fly London sandals with both. By far, the pieces I acquired that received the most wear were this top and wide-leg denim trousers. I found them at Talize at different times, both were $8 a piece. I wore the pants at least once or twice a week unless the humidex was near 40 (which it quite often was). 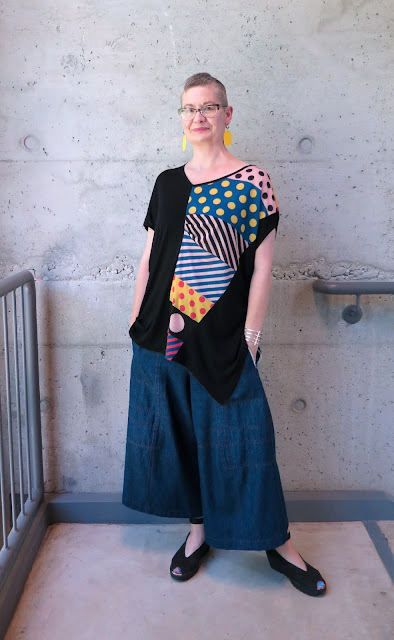 The top was so comfortable in the heat and the polka dots made me smile, especially when I paired it with my yellow dot earrings from Value Village. I had received good news from my doctor the day I wore this outfit - after two rounds of antibiotics, my lungs sounded much better, and if a followup x-ray in 4 weeks doesn't show any more infection, then I'm in the clear! You never appreciate your health as much as when you don't have it, and it may be a cliche to say that "Without your health, you have nothing", but it's a cliche because it's true. You can't fully participate in life if you're exhausted, going back and forth to doctor's appointments and medical tests, waiting for results, and generally feeling worried and unwell. That being said, I was very grateful for our Canadian Health Care System which meant I was able to get the attention I needed in a timely manner. It felt great to have the energy to go out on Friday night with friends to see a Flamenco performance, instead of feeling wiped out after a full day at work. I was also happy that I felt inspired and well enough to write this post. Hopefully it won't be so long before the next one. So glad you and Ruby are both feeling better, Shelley! Love Miss Fisher too. Hugs from my current location, Cow Head, Newfoundland! I was wondering if you were doing okay after not hearing from you in awhile. That pneumonia is nasty stuff in all sorts of way. I'm glad to hear you're already feeling better. I ended up in the ER with it when I finally went to the doctor several years back. Of course, there I got sicker from an overkill of antibiotics. blah, blah, blah. It seemed to take forever to get my energy back. Meanwhile, how lovely to see your rat pack again, sad too. And you do look fabulous in your summertime ensembles. It's been unbelievable hot and humid in Chicago forever. Glad you are on the mend! You made me remember one of my grandmother's favorite sayings--"Guard your health!" Not that one always has that choice. Great thrifting finds. Thanks for sharing! How awful that you were taken so ill : ( It cannot be easy when you are living alone and sick. It is very true that we never miss our health until we no longer have it. Every day with a healthy body is a gift. I LOVE that silk kimono you scored and your other pieces are fabulous too. At least you've had some brilliant luck in the thrifting dept if nothing else. Relieved to hear that your lung infection has cleared! I trust that the abdominal pain is gone also? I'm a huge Phyrne fan...serious girl crush for me too. The television series strays a bit from the books, but the eye candy makes up for it. The clothing is spectacular. Although for an abbreviated time period....happy to see you had some time with your girls! I hope that all your trials and bad health will disappear with the month, and that September will be much better and happier. Although, it actually sounds like you've had a pretty nice month, in some ways - babies, animals, Miss Fisher (I have her on my list but haven't watched yet), and some fabulous clothes! I would steal every single one of those things if I lived in Canada and wore your size. Take care! So happy to see you/hear from you, Shelley! Glad your lung infection (yikes!) seems to be clearing up, phew. Lovely to see all the critters, and wow, you have some amazing purchases there. I'm so envious of that big square silk blouse. Sooo glad to see you're up and about and writing, but fully support your taking a break, and applaud your courage in writing about it. There is a Japanese expression - nana korobi ya oki (fall down seven times, get up eight times), which is all about resilience - and nicely sums up the attitude in your post. Last photo is my favorite. The earrings are absolutely perfect. And is it a trick of the light, or is that periwinkle toe nail polish you're wearing? Go get 'em, girl! It IS periwinkle toe polish! Oh, Shelley, you are back in the fray. Hurrah!! 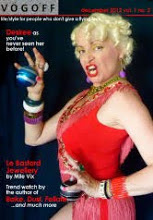 What a wretched, wretched, wretched time of it you have had and how relieved I am that you are through it, stronger, better, and looking fabulous! Outfit photos, yay. That robe, oh my. What an excellent find. 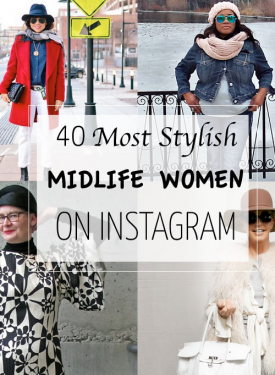 Get ready for fall - it's going to be stellar, stellar, I tell you! I'm so sorry that you've had a horribly scary month health-wise but pleased that the lung X-ray wasn't as bleak as it initially sounded. Despite your illness you've looked wonderful throughout and nobody deserves that kimono more than you. Sorry to hear you have been unwell and hope you have recovered fully. Health is so important and without you do have nothing. Loved all the outfits and finds and you look marvellous in all of them despite you feeling poorly! Lovely range of critters and that little boy is so sweet. I know - I want all of her embroidered coats! I would love to spend a week as Miss Fisher too as long as I had her shooting and driving skills, and I would want to bring her entire wardrobe back with me. I'm pleased to hear that you're well again. Wise words about your state of health. We all take good health for granted until it's gone. Your NHS service did a great job for you. I love all of your outfits. I have some of those wide legged pants but seem to drown in them. Styling is key by the looks of things. Must give them another try. Great post! ohhh, so sorry you've been sick, but glad you're feeling better now!. August is not that sunny-happy month that people like to tell you, sometimes is really awful! And I'm loving you wearing those big pants, they're fabulous and you look fabulous, fresh and cool!. Love particularly those fav earrings! Once more, glad you're feeling better! I am so happy to see you feeling better and having fun again. You're right about health and how it means everything! You look radiant in your gorgeous and creative ensembles. I'm lusting over your silk kimono. The visit by Ruby and Ginger must have lifted your spirits too. Hope your September is abundant with health and new energy. You deserve it!!! Late to the party, but here are my two cents. I have read you are well again and saw the pink leather short. Oh yes you are back. 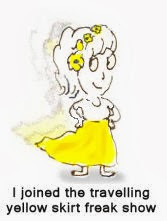 I agree on the cliché f health and I find it a pity we do not enjoy good health as much as we suffer from bad health. As soon as you are better you don't think about health much. Just something at the back of your mind, something you take for granted again. Until the next time you get ill. 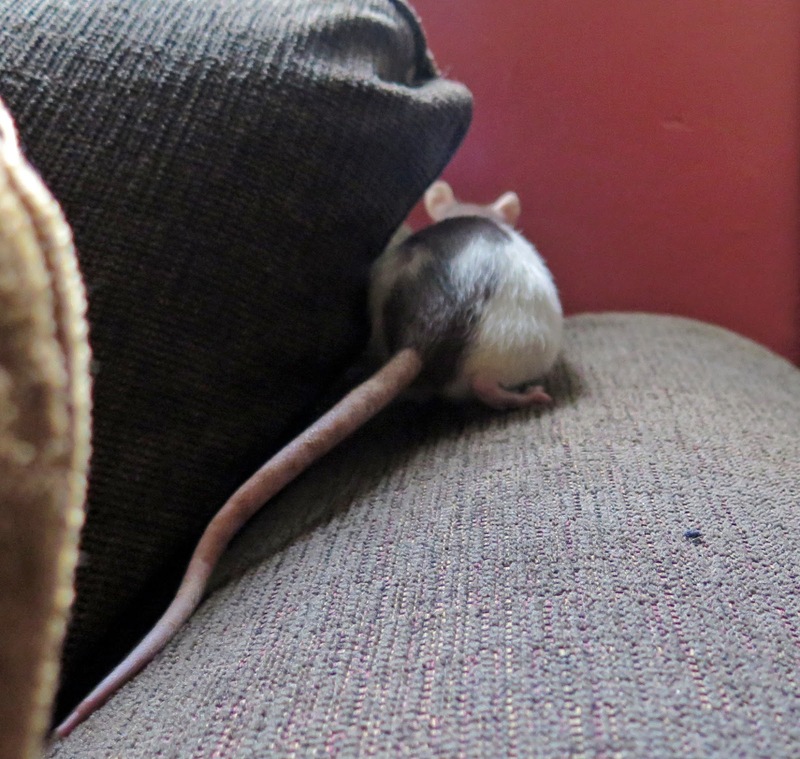 So glad you found a way to enjoy time with your darling rats. Everything, every person, every animal you love is important. As for the outfits. I find them all very, very good. I would never had thought that the white shirt with the stripes would go with a wide pair of trousers. As a matter of fact, wide shorter trousers is something I am still afraid of (high fashion by the way.. as if you care, but there you go). All three outfits look great. Well done my dear.